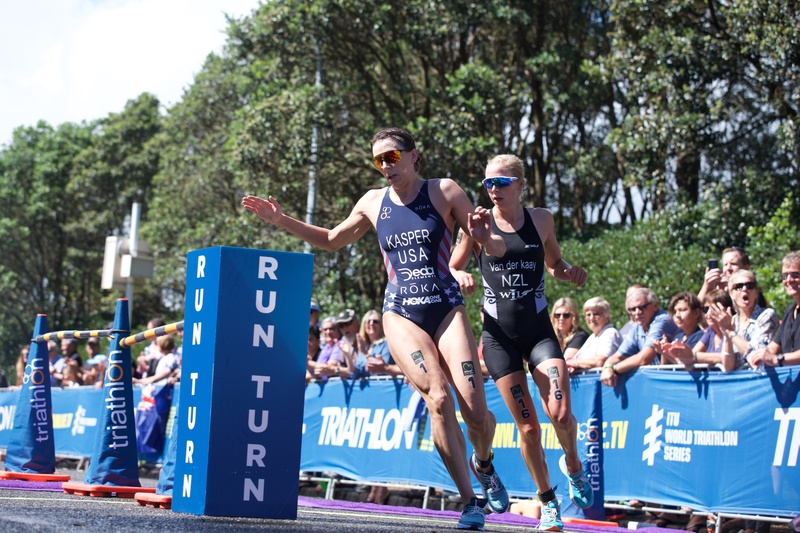 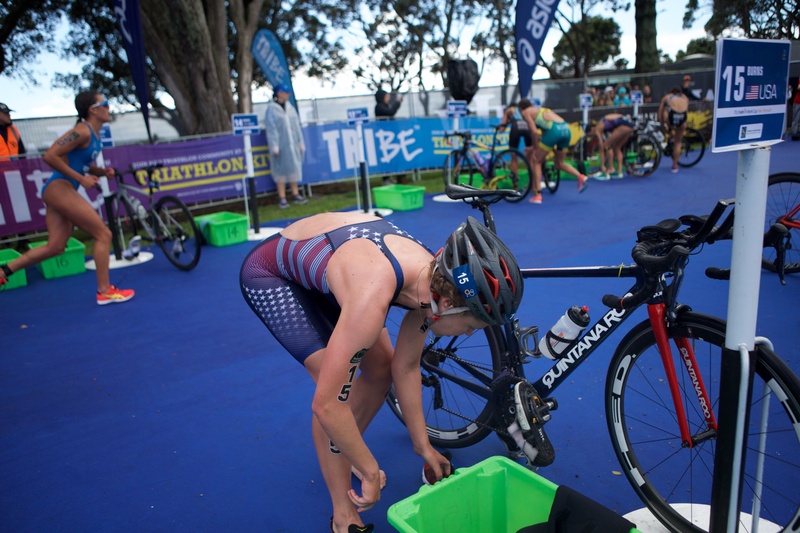 America’s Kirsten Kasper produced the perfect race execution to claim the title at the 2018 ITU New Plymouth World Cup today. 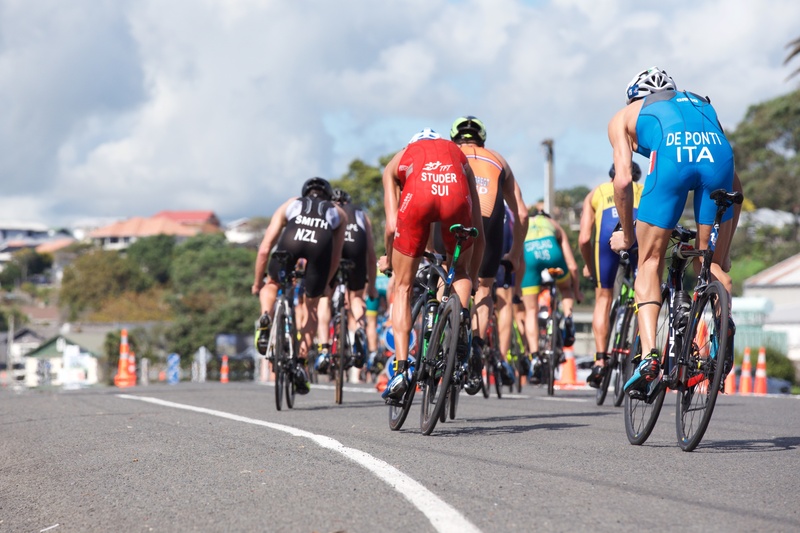 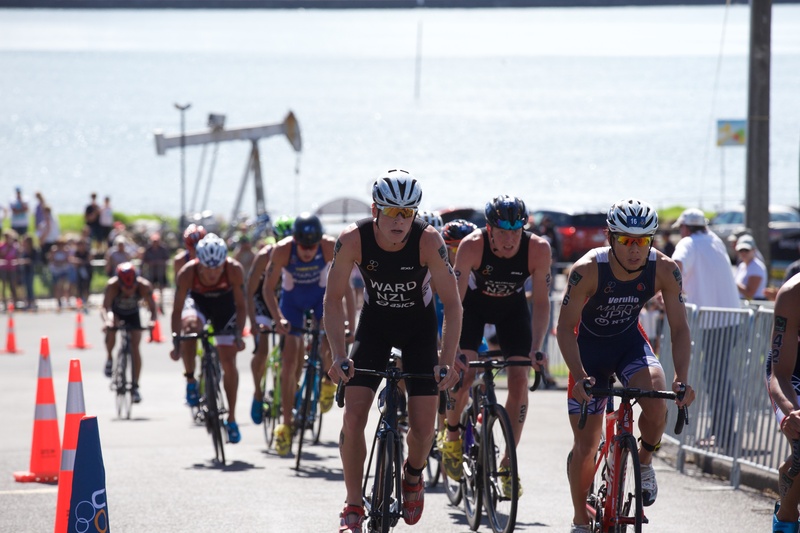 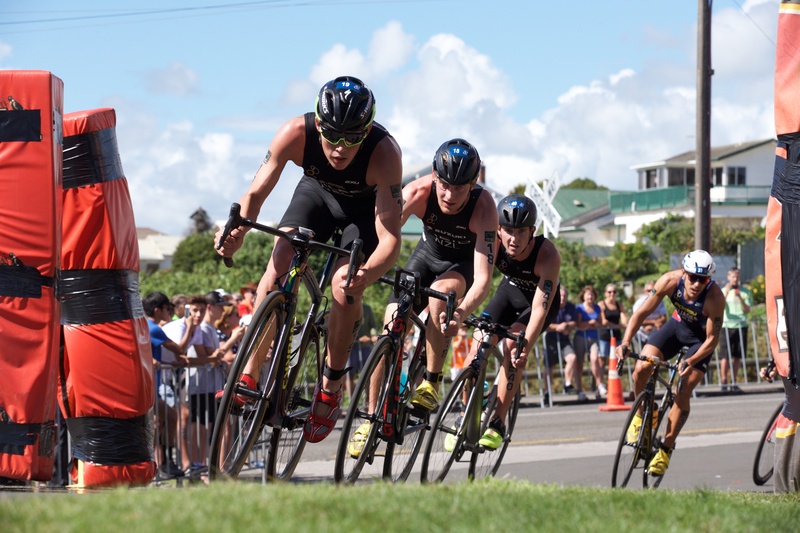 It’s been a remarkable start to the year for Kasper with a fourth place in WTS Abu Dhabi, second place in Mooloolaba World Cup and now a convincing win in the New Plymouth ITU World Cup. 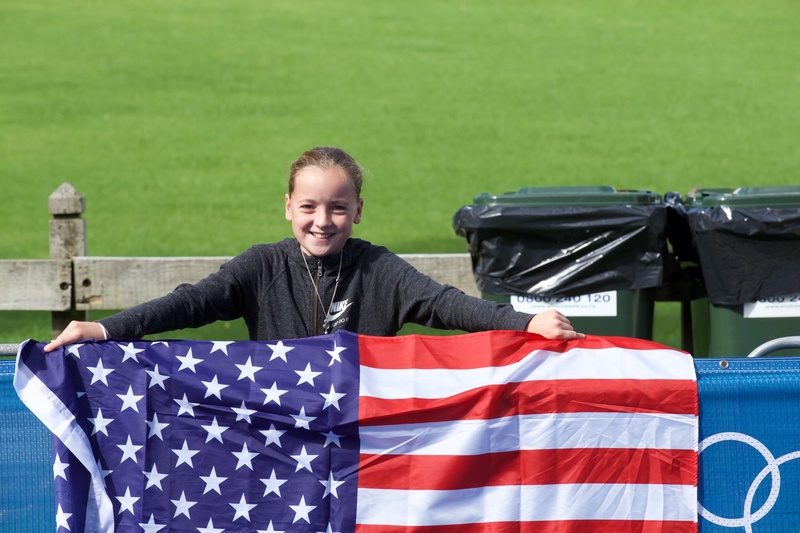 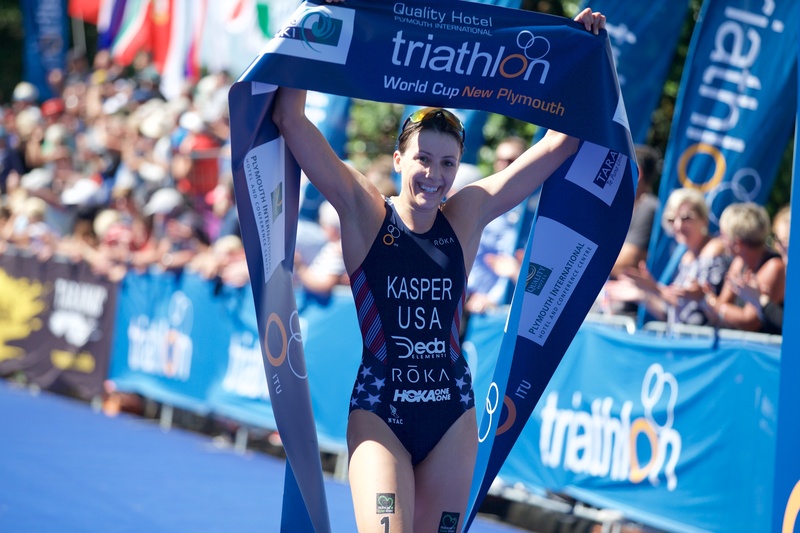 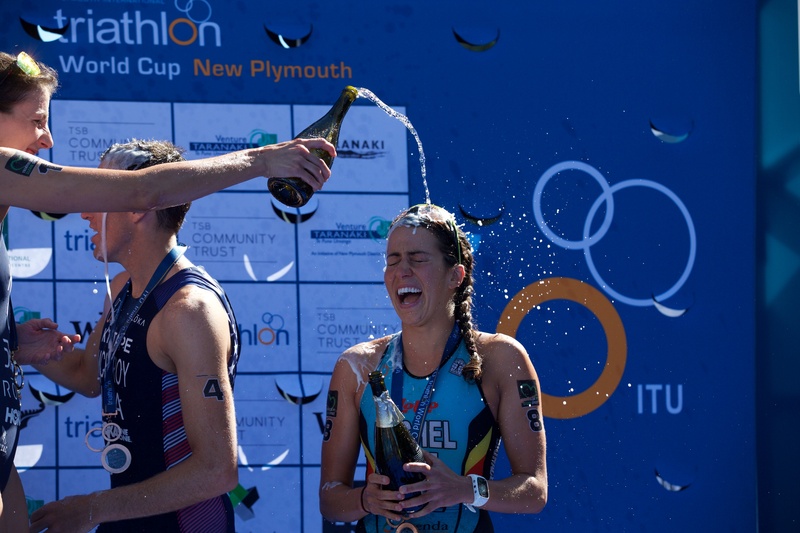 Kasper, who dominated the race from the start, has maintained tradition in New Plymouth by keeping an America woman on top spot of the podium for the fifth consecutive year. 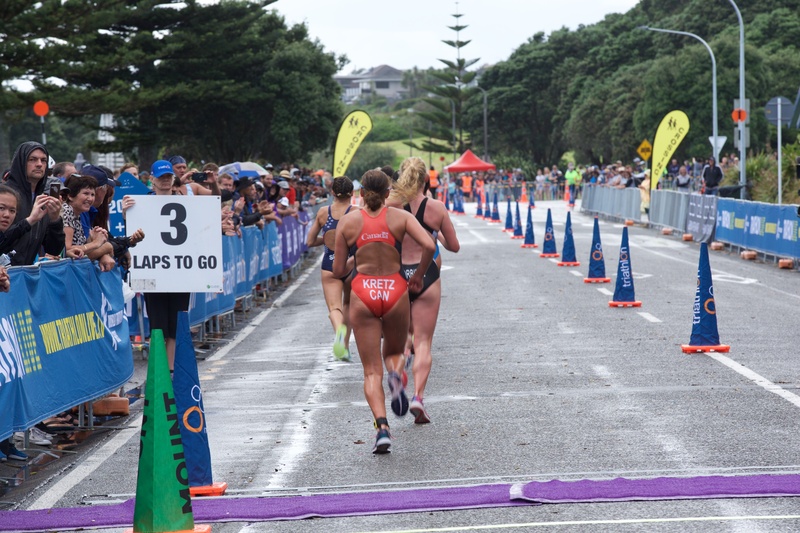 New Zealand’s Nicole Van Der Kaay stormed across the finish line in second place, on home ground, to claim her first World Cup podium finish. 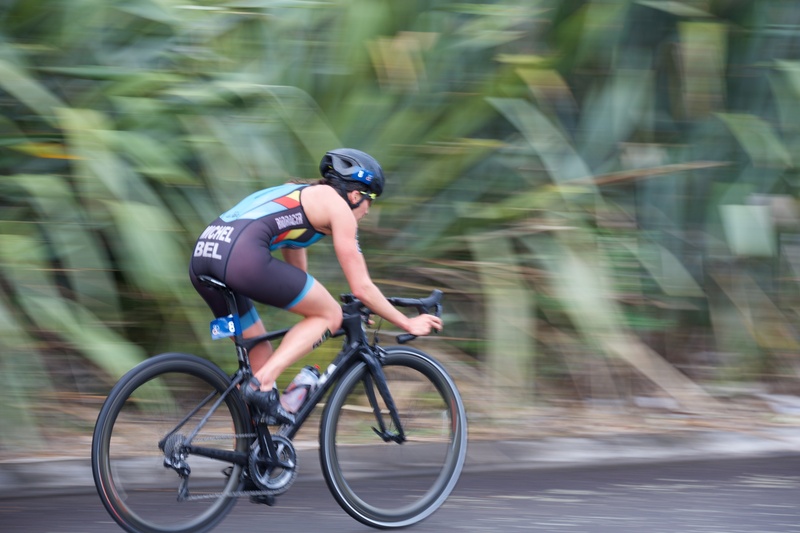 The silver medal was a confidence boosting performance for the New Zealander as part of her final preparations for next month’s Commonwealth Games. 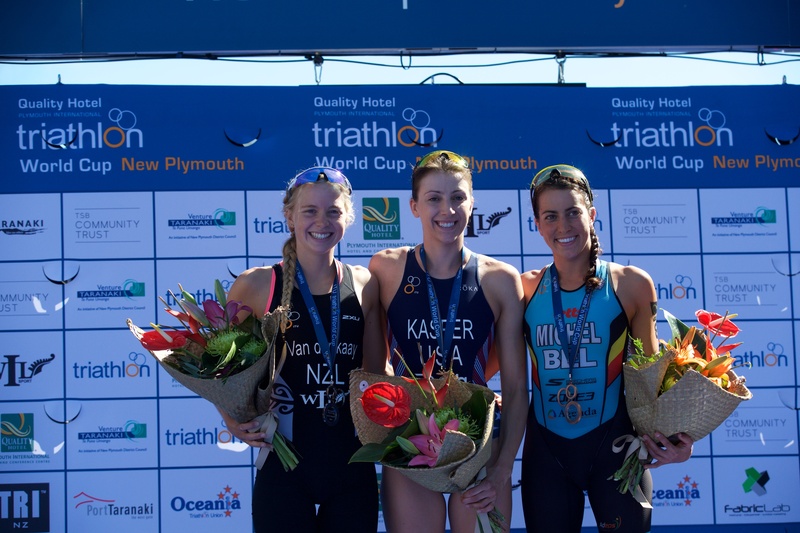 The bronze medal was awarded to Belgium’s Claire Michel who put herself in the mix all day across the sprint distance format. 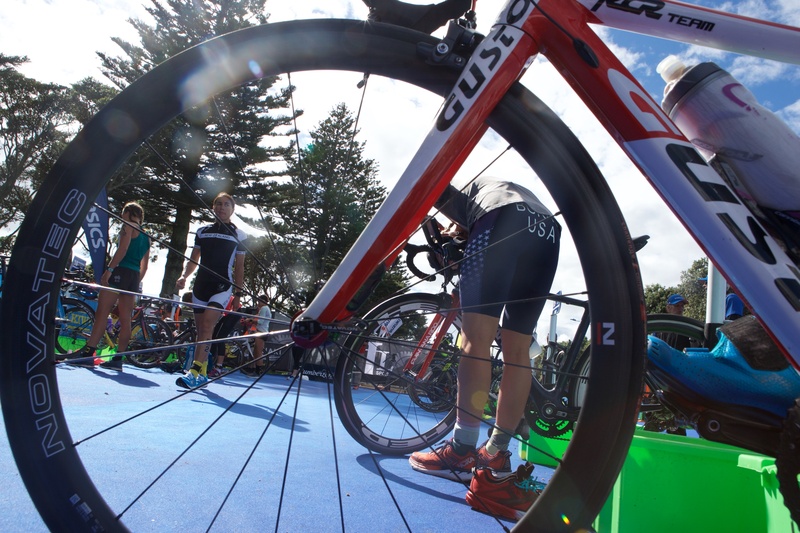 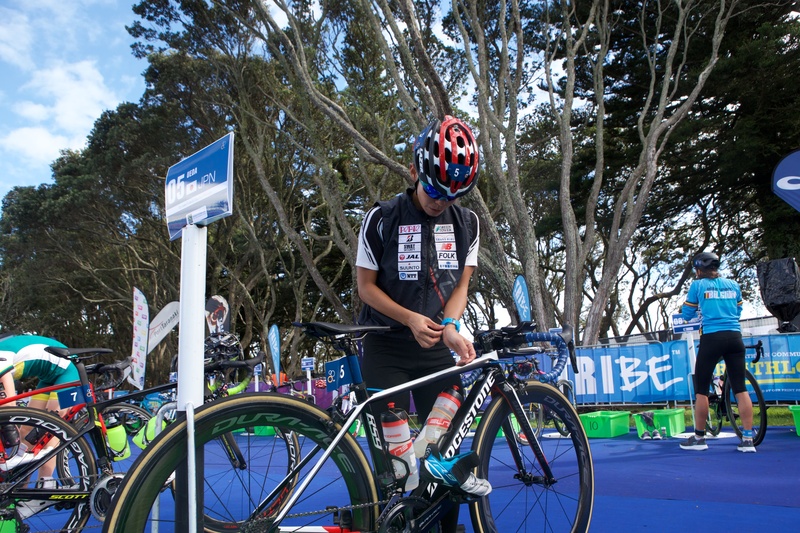 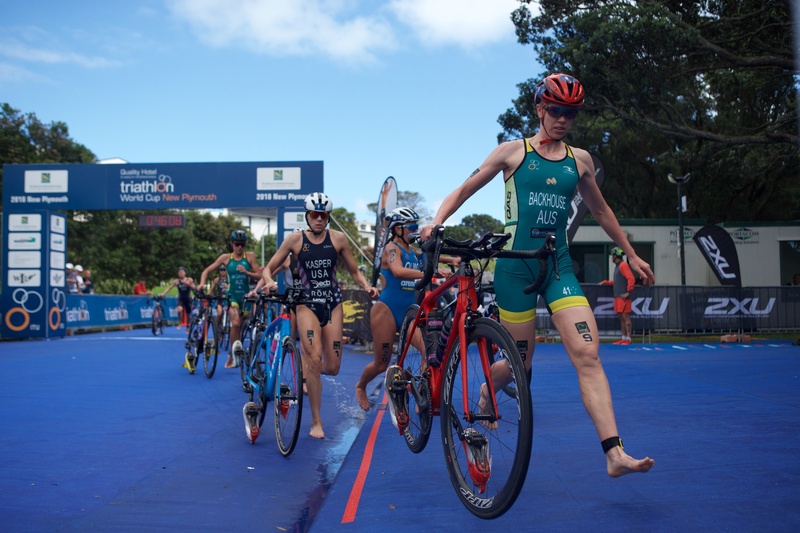 Kasper lead the elite women out of the water and onto the new technical bike course in New Plymouth. 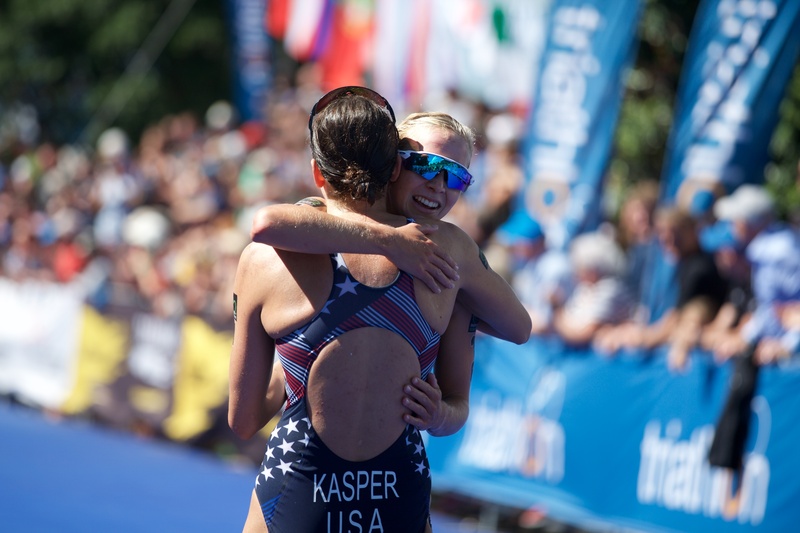 “I felt really good today right from the start so I just knew I had to go hard and give it my all,” Kasper said. 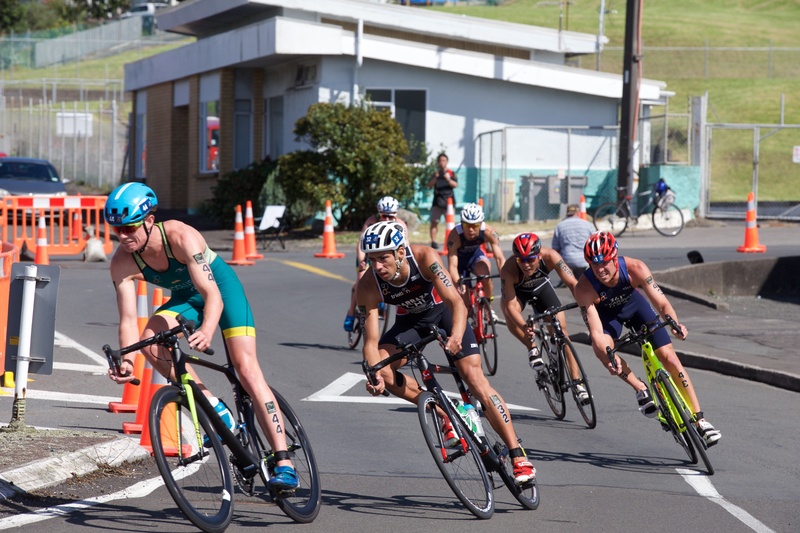 Kasper, with an initial lead, rode tactfully knowing that today’s field was stacked with run specialists. 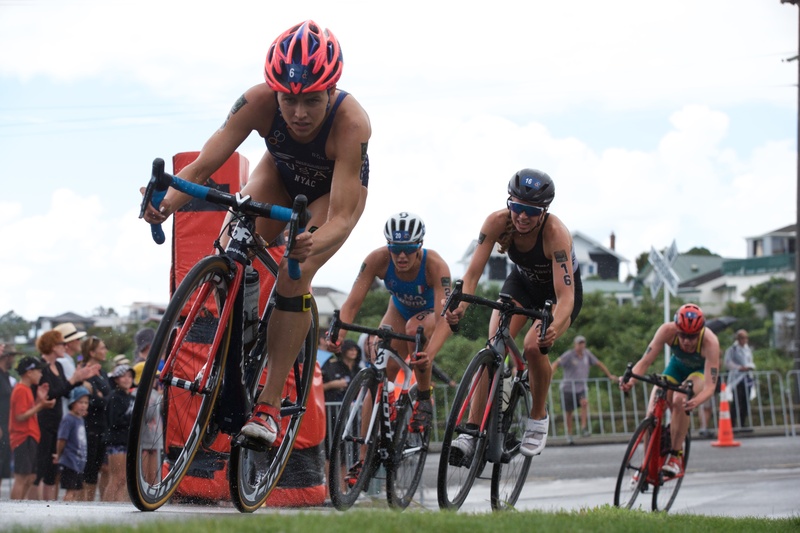 Kasper pushed the charge leading a group of six women including the Australians, Americans and the Belgium. 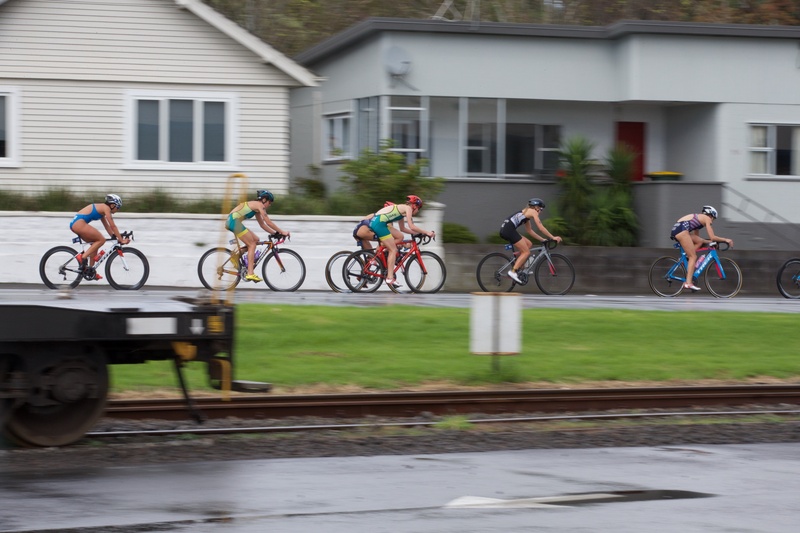 The conditions ensured bike-handling skills were crucial on this technical course but the women didn’t hold back. 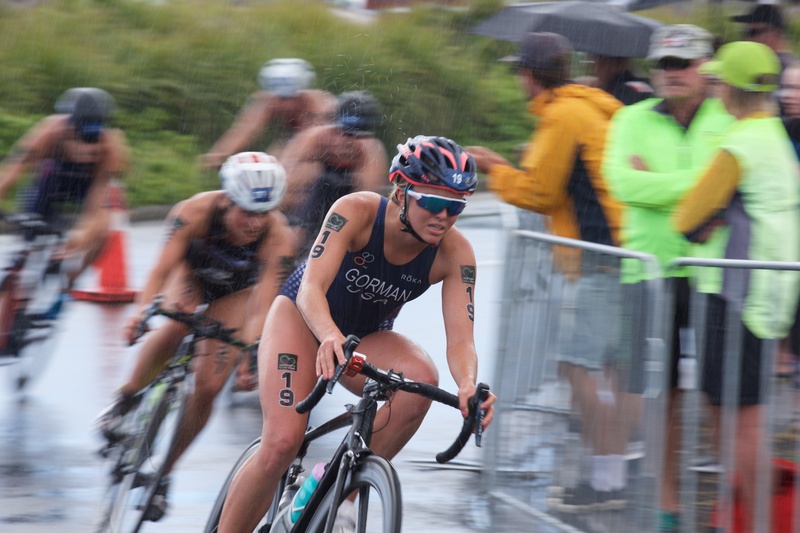 “I wasn’t expecting the rain but we all just rode a little more cautiously, still aggressive but smart. “I was trying to make a break away, I knew there was a lot of strong runners in the group and I wanted to test myself,” added Kasper. 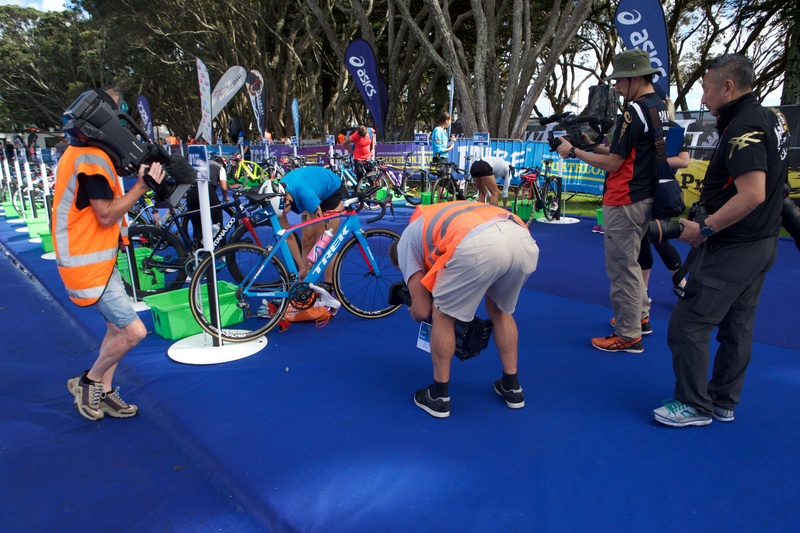 Australia’s Emma Jeffcoat, among the favourites leading into today’s race, came off her bike leaving her with work to do on the final stage of the race. 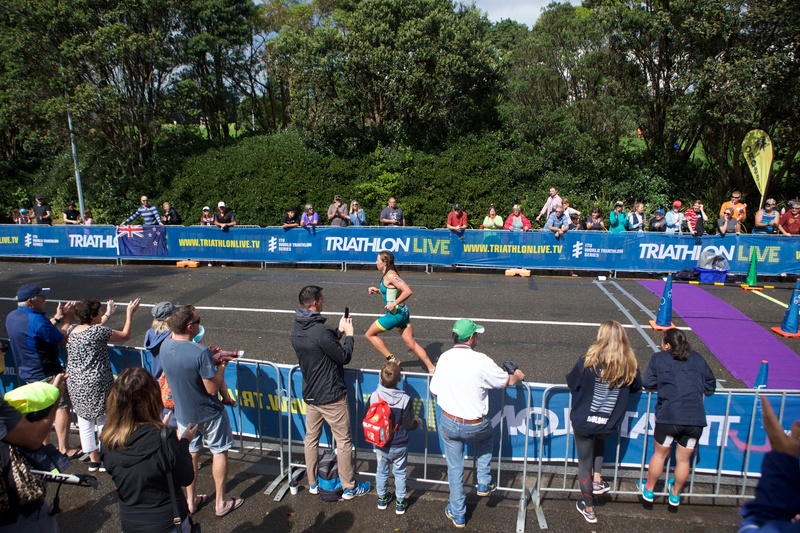 On the final lap of the bike it was Australia’s Gillian Backhouse who positioned herself in front in the hope of a slick transition to run. 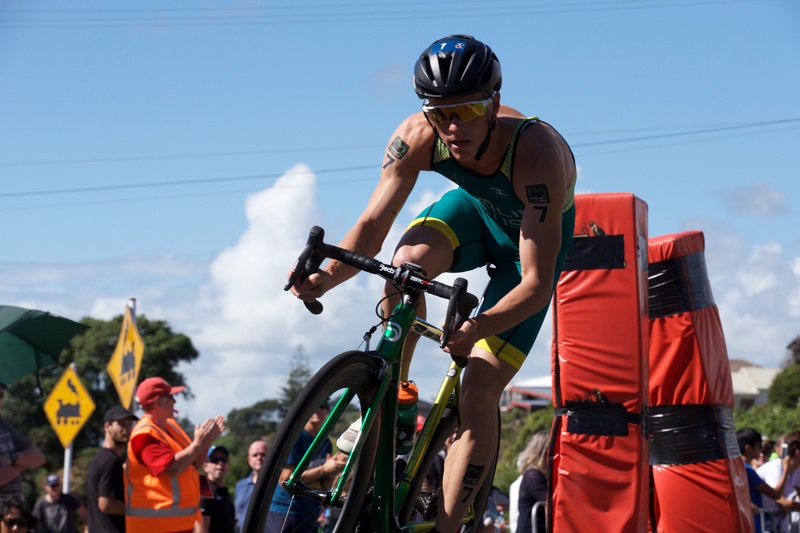 However the Commonwealth Games bound Australian didn’t quite have the heels to chase down the leaders today, finishing in a strong sixth place. 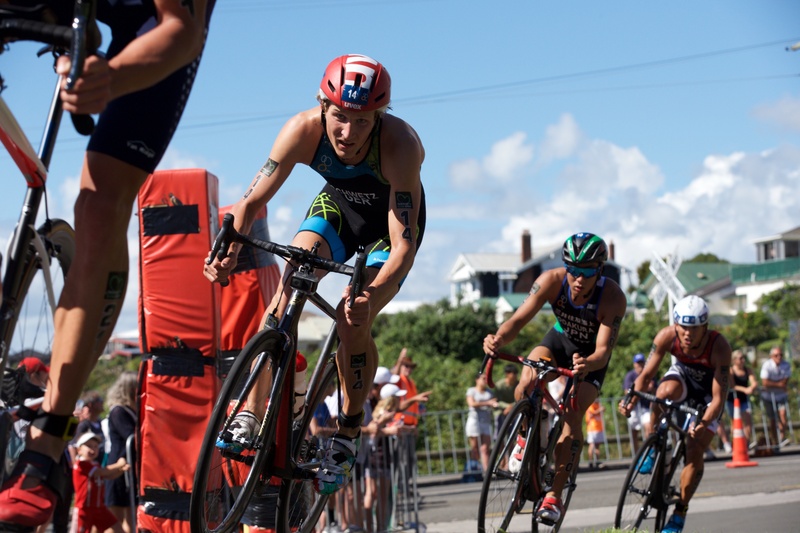 Nothing but a shoulder could separate Kasper and Van Der Kaay on the run proving that it was going to come down to a fierce sprint finish. 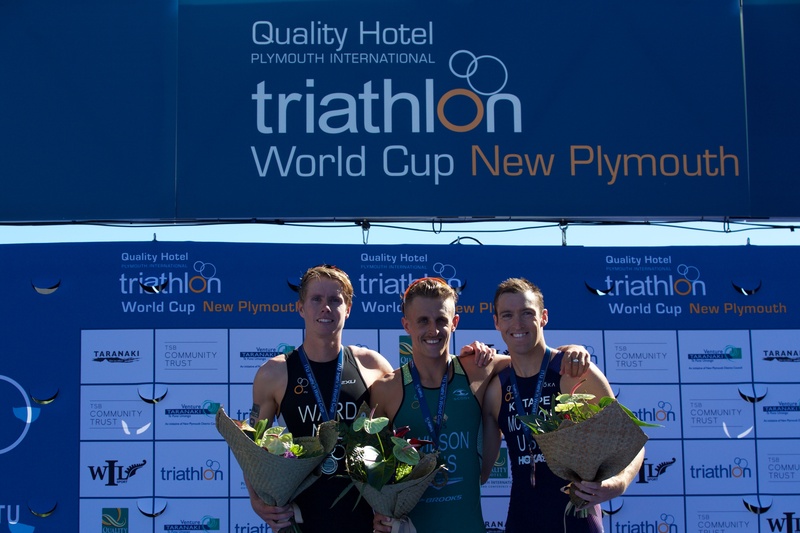 Kasper stormed across the finish line to claim the title with Van Der Kaay in second and Michel in third. 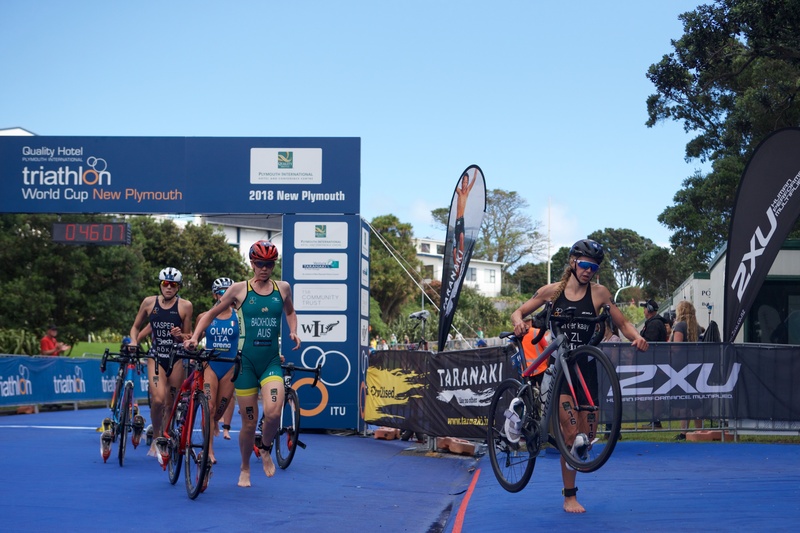 Today’s podium finish was a breakthrough performance for New Zealand’s Van der Kaay who was looking for a strong hit-out ahead of April’s Commonwealth Games. 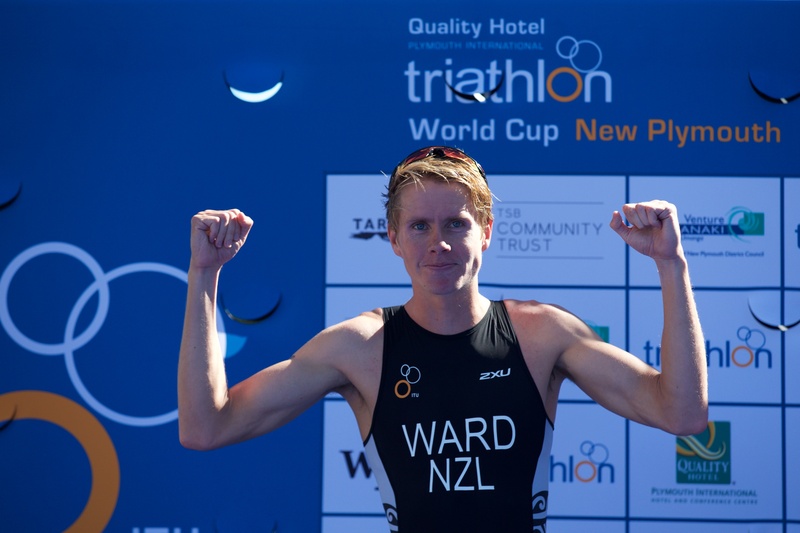 “It was awesome support on home soil, I couldn’t thank them more for that. 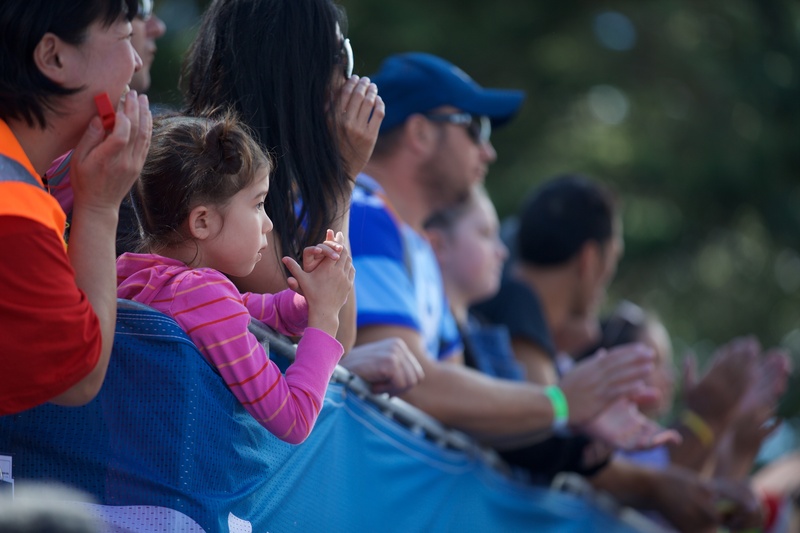 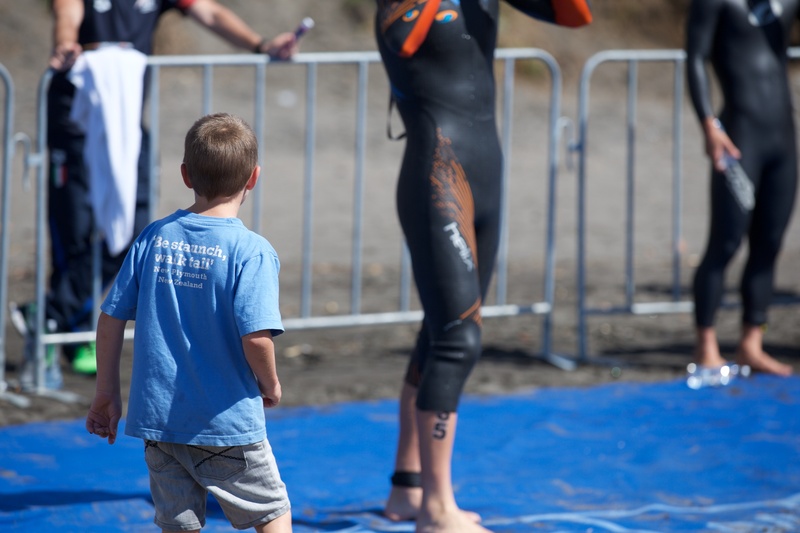 I was getting cheered the whole way so it’s pretty special. 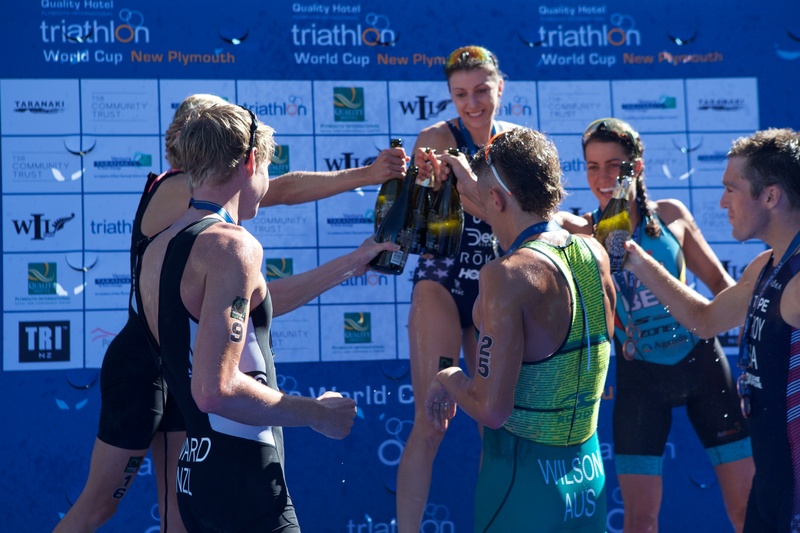 It’s an incredible breakthrough for me, to crack the podium and on home soil,” said Van Der Kaay. 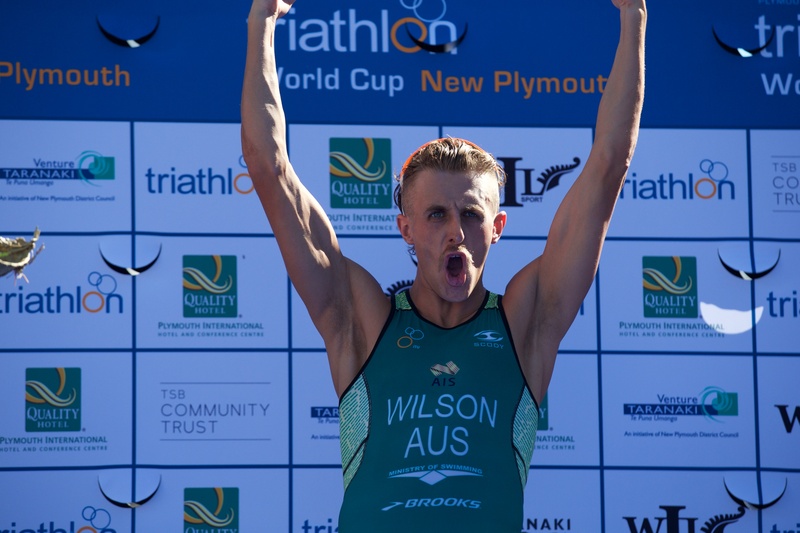 2018 saw Michel from Belgium claim bronze for a consecutive year. 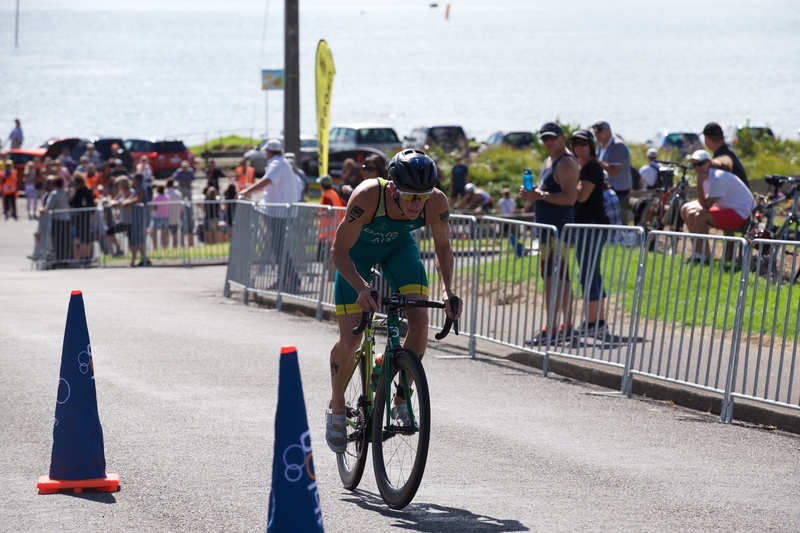 “Training has been going well so I was excited to see what I can put together. 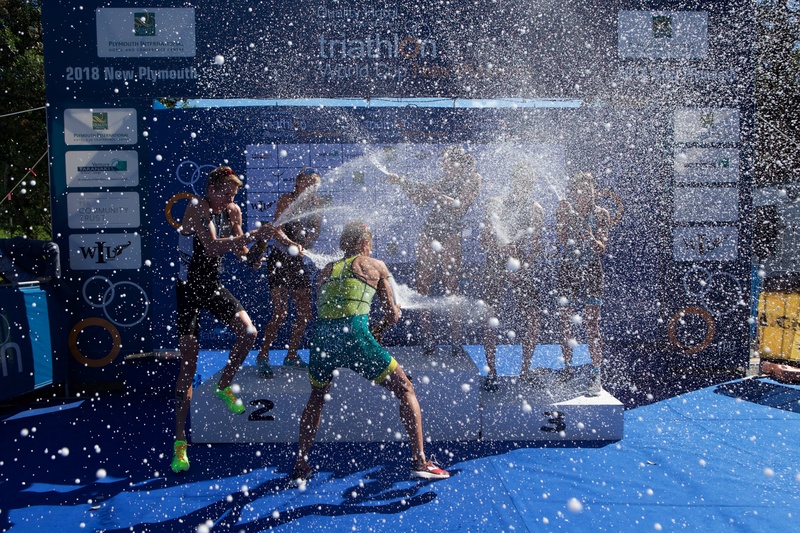 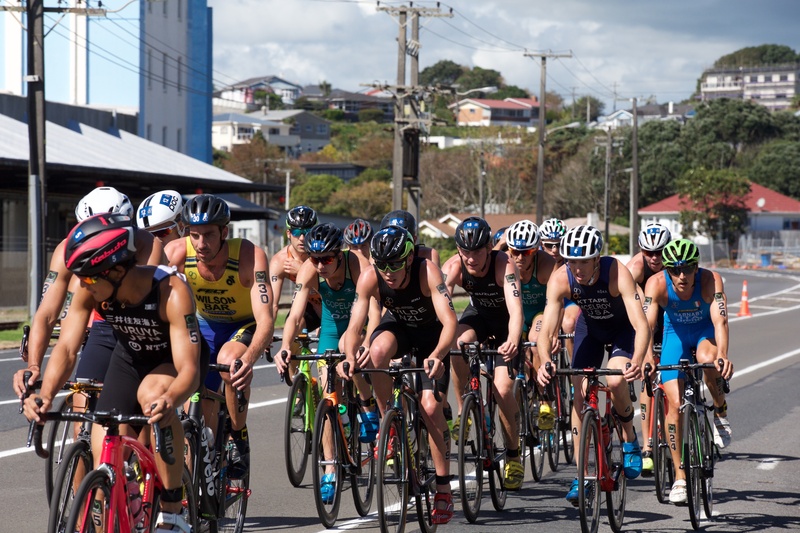 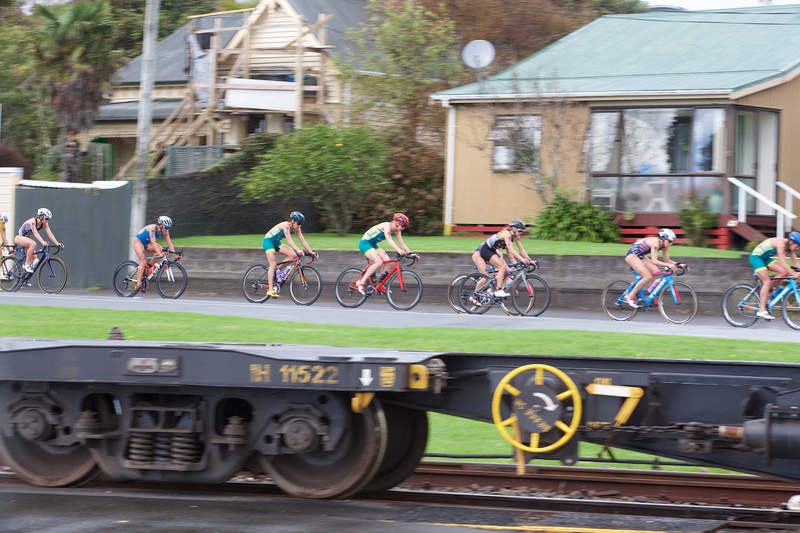 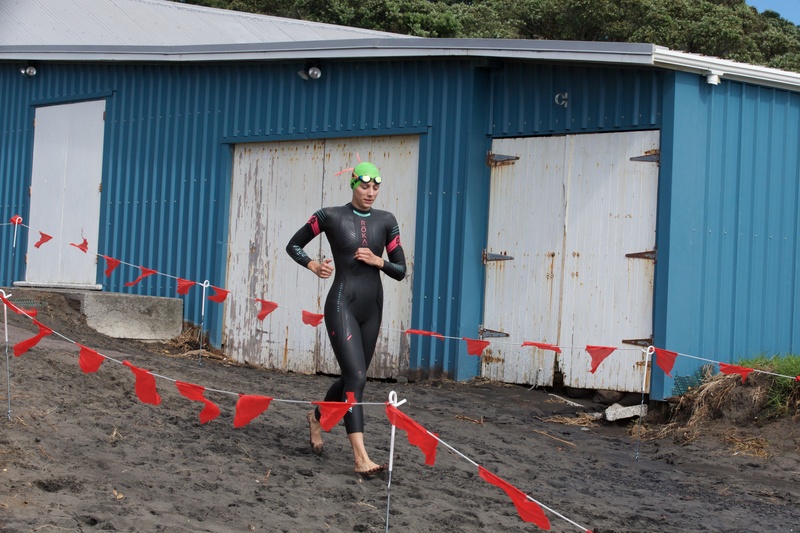 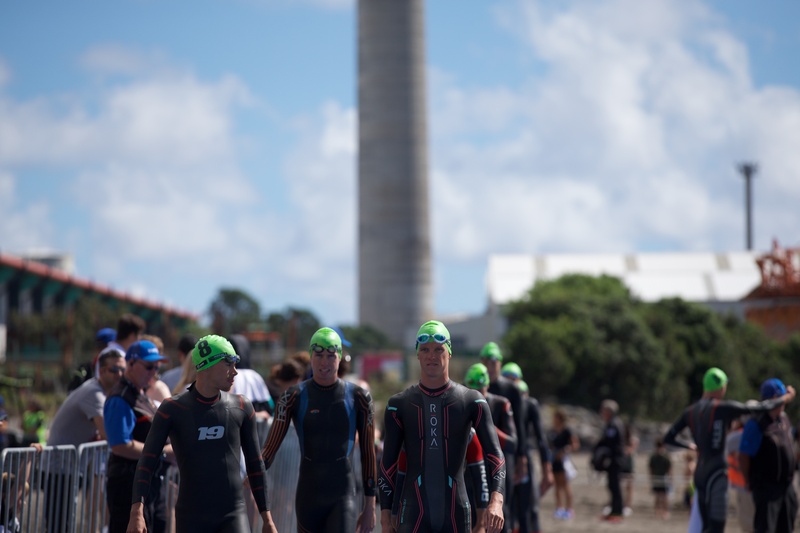 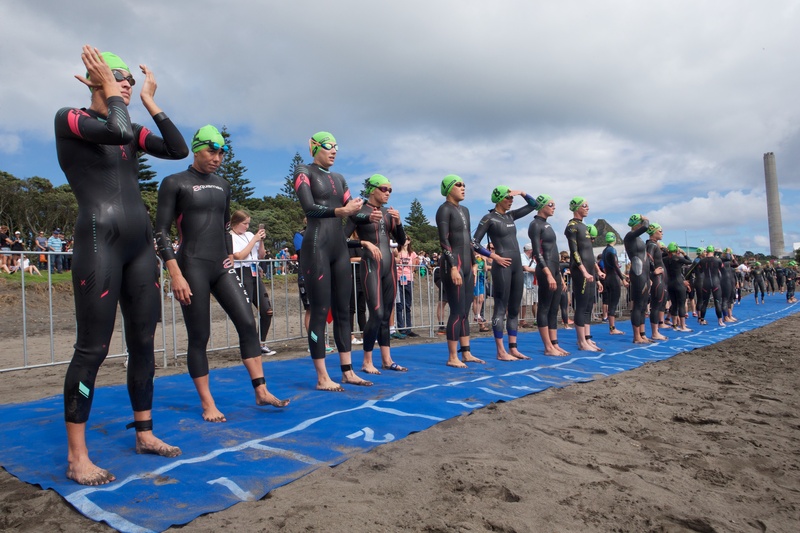 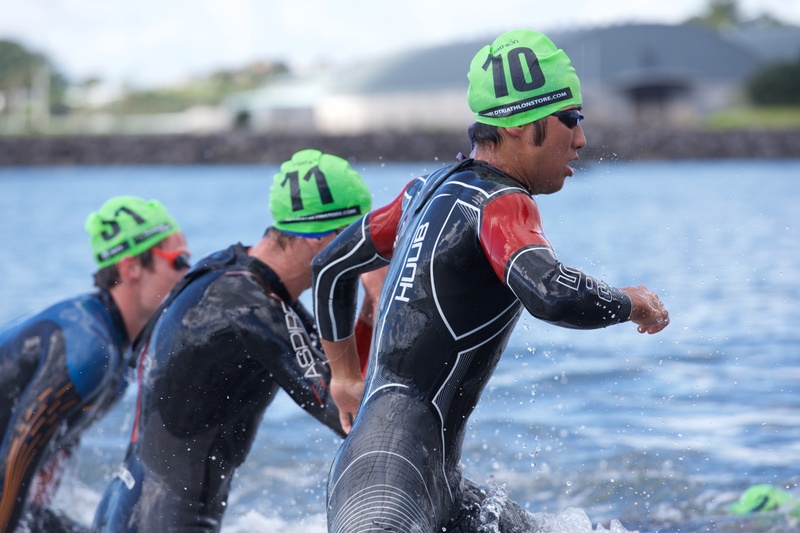 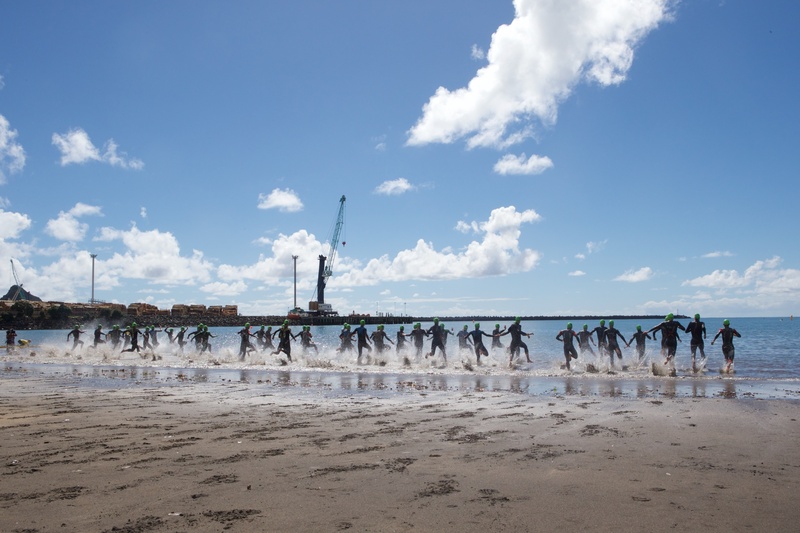 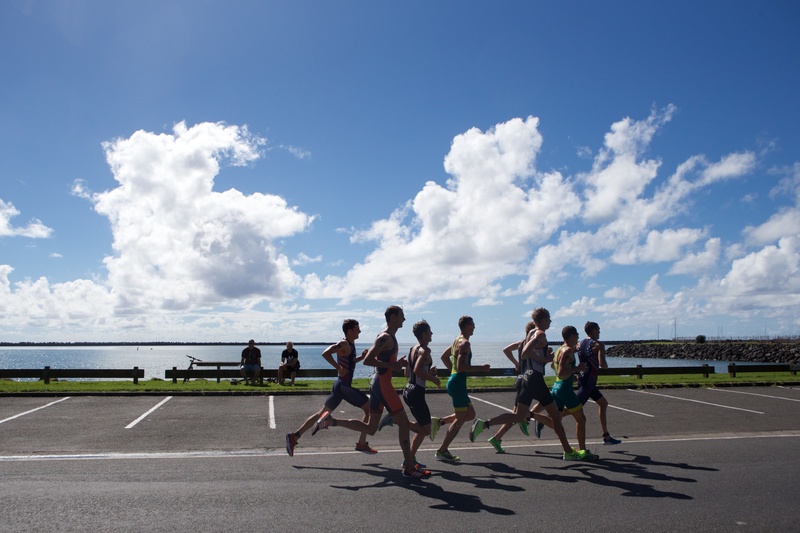 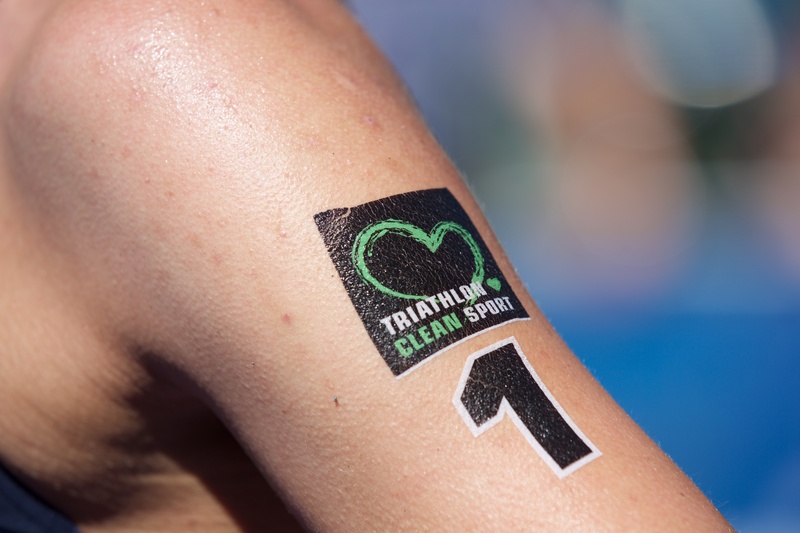 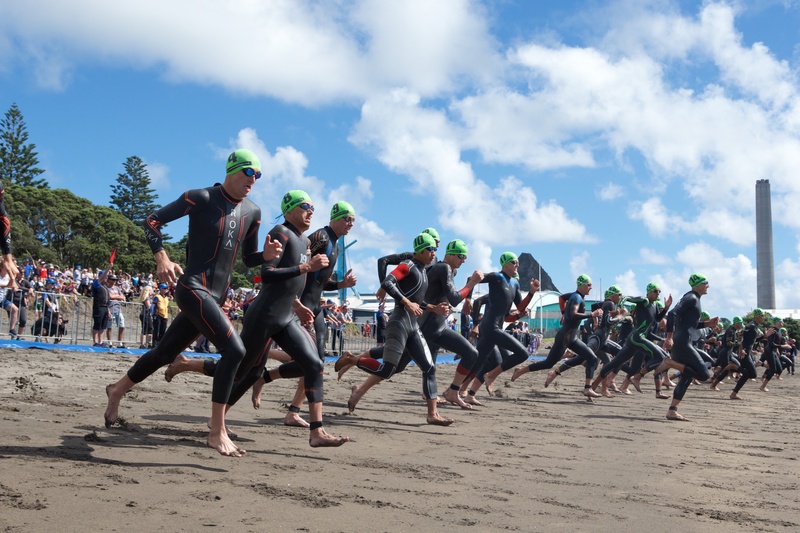 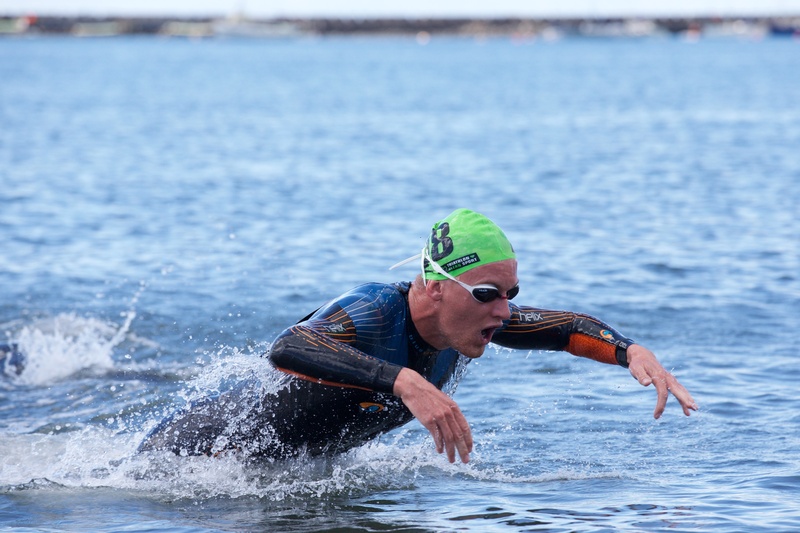 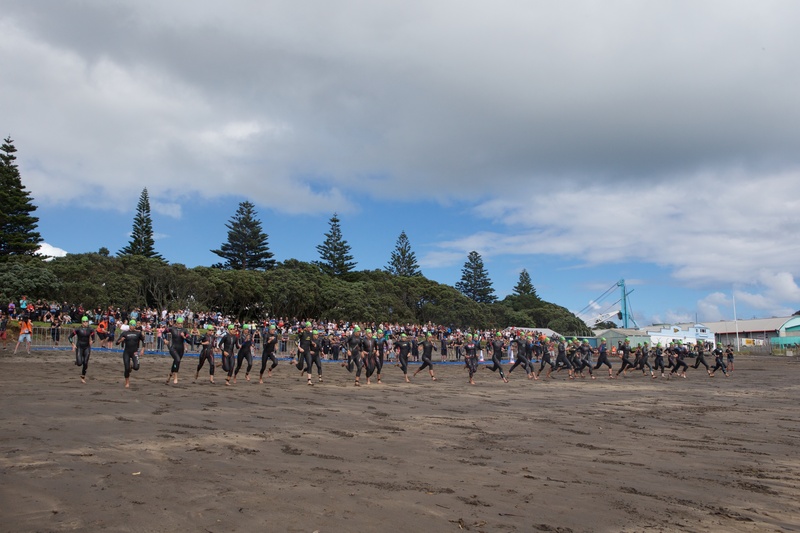 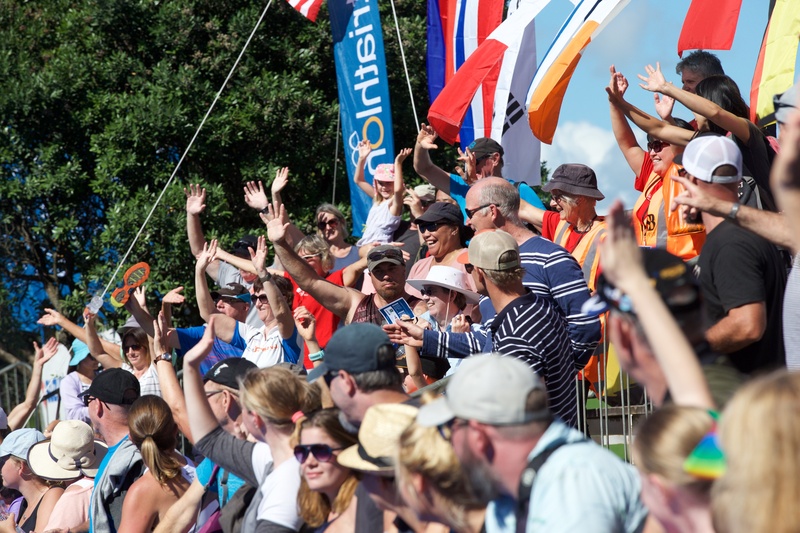 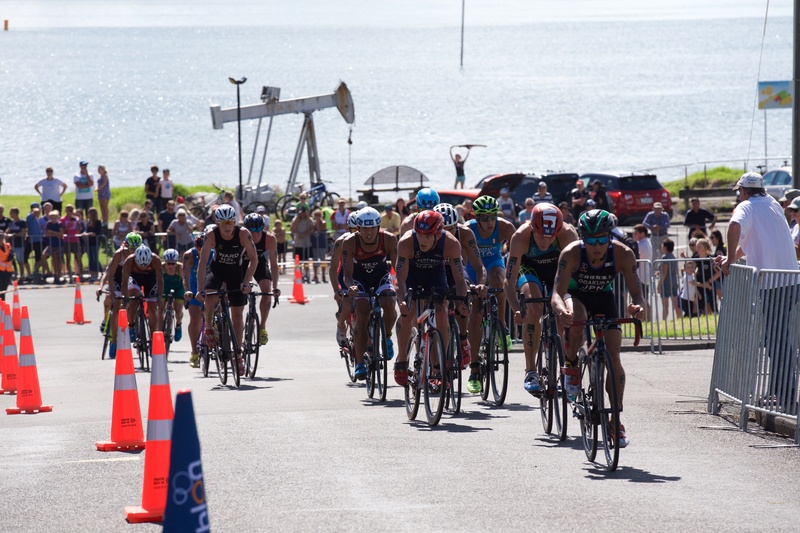 The community in New Plymouth do an excellent job of welcoming this race”, Michel said. 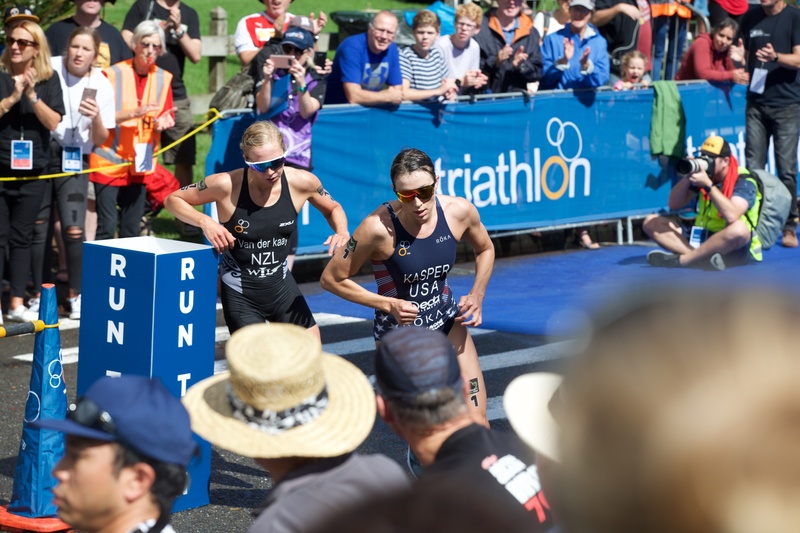 Taylor Spivey, from USA, and Yuko Takahashi, from Japan claimed fourth and fifth place respectively. 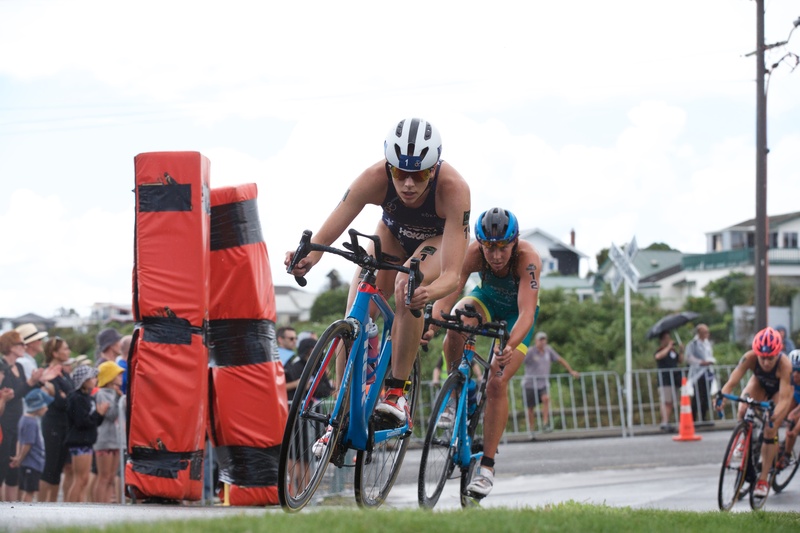 Initial favourite Andrea Hewitt, from New Zealand, held on to cross the line in ninth position.